How does political party control determine changes to social policy, and by extension, influence inequality in America? Conventional theories show that Democratic control of the federal government produces more social expenditures and less inequality. 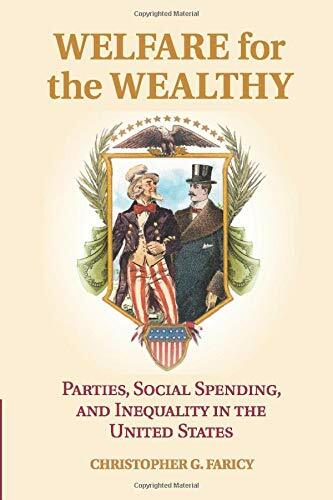 Welfare for the Wealthy re-examines this relationship by evaluating how political party power results in changes to both public social spending and subsidies for private welfare - and how a trade-off between the two, in turn, affects income inequality. Christopher Faricy finds that both Democrats and Republicans have increased social spending over the last forty-two years. And while both political parties increase federal social spending, Democrats and Republicans differ in how they spend federal money, which socioeconomic groups benefit, and the resulting consequences for income inequality.